Mike Shannon SGA Talking Alarm Clock 'Get Up Baby' St. Louis Cardinals - NEW! 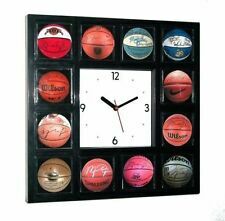 Officially Licensed Chicago Pro Team Quartz Wall Clocks - SHIPS FREE! 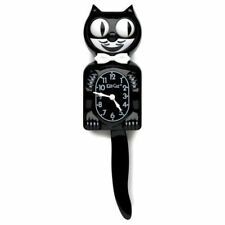 Coca-Cola CXST04 Mini Clock Resin 1950's Diner Soda Jerk & Counter Figurine 4"
Non-ticking Travel Alarm Clock Small Silent Clock with Snooze Night Light 2.4"
Colorful Dial. Type Wall Clock. 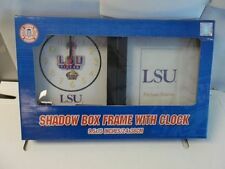 1 x Wall Clock (Battery Not Included). Unique retro design, make your house full of artistic atmosphere. Also can be a good gift for your friends. Material Resin. View More Atomic Digital Wall Clocks. Monitors Indoor Temperature (°F or °C). Indoor Temperature Range: 14.1°F to 139.8°F (-9.9°C to 59.9°C). 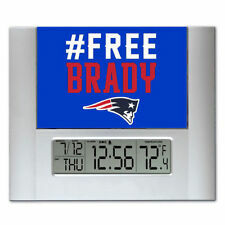 Clock : 9.22 " L x 7.37" H x 1.1" W. IN Temperature. Wall Hanging or Free Standing. 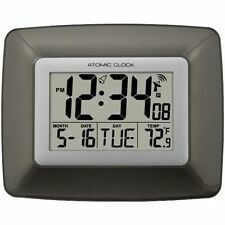 View More Atomic Digital Wall Clocks. Monitors Indoor Temperature (°F or °C) & Humidity (% RH). Clock : 8. 66 ” L × 6.69 ” H × 1.10 ” W. Indoor Temperature Range: 14.1°F to 122°F (-9.9°C to 50°C). Indoor Humidity Range: 0% to 95% RH. 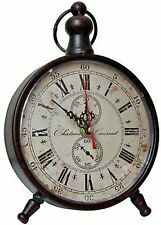 La Crosse Clock Co 12 Inch. Condition is New. Shipped with USPS Priority Mail. 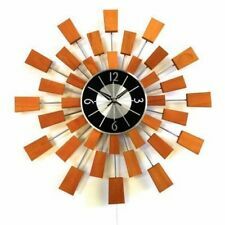 Coffee Cup Pendulum Wall Clock. Coffee Lover's Cafe Tier Kitchen Window Curtain 44375. Hook on the back for easy hanging. Bed / Bath. We do not accept CODs. Pet Accessories. Gifts - Occasions. Garden / Outdoors. Quartz wall clock. Condition is Used. Shipped with USPS Priority Mail. 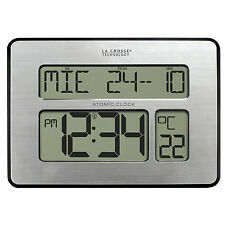 La Crosse Technology Large 2” Numbers Atomic Digital Wall Clock with Indoor Temperature. 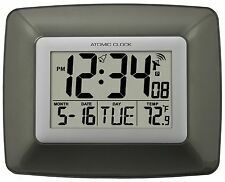 View More Atomic Digital Wall Clocks. Clock : 9.75” L × 7.5” H × 1” W. Large 2” Numbers. Temperature Range: 14.1°F to 139.8°F (-9.9°C to 59.9°C). Brown and Green wall clock with white polk a dots. Takes 1 AA battery. Used, in excellent condition. Perfect for a nursery. From a smoke free home. Easy to install by the available hook on any walls. 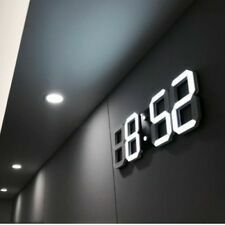 The silent quartz wall clock back base are made of premium plastic that can keep well function and dry in any weather condition, instead of using cardboard as clock background. 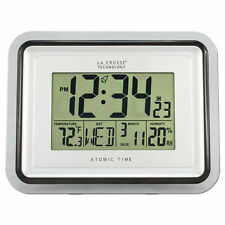 La Crosse Technology Analog-Style Atomic Digital Wall Clock - White. View More Atomic Analog Wall Clocks. Great Closeout Price! 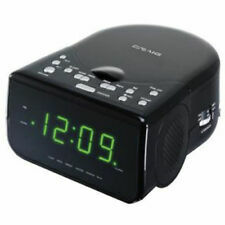 Large analog-style digital clock design. 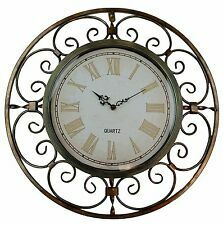 Clock: 8.63" L x 1.28" W x 10.34" H.
10" Black Ventura Wall Clock. 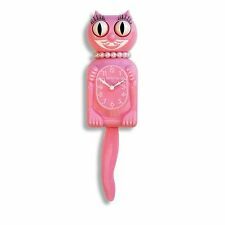 Clock Face Length: 10 in. 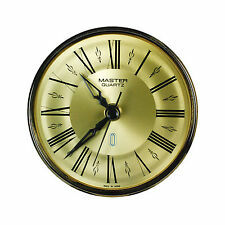 Clock Face Width: 9 in. Product Type: Quartz Wall Clock. Clock Display Type: Analog. Atomic Clock: No. Color Family: White. Sporting Goods. Pocahontas Clock. Condition is Used. Shipped with USPS Parcel Select Ground. 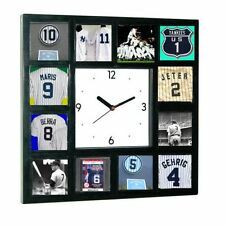 Your smartphone may have replaced your need for a wristwatch, but an interesting wall clock will never go out of style. It's kind of like having a piece of art. It's the kind of thing you'd find in a casino in Las Vegas (if casinos had clocks). 12" Wall Clock Glow In The Dark Silent Quartz Indoor/Outdoor white Noctilucent. 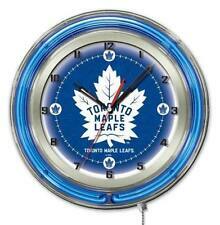 This clock is a great presence in any room and you won't be straining your eyes to read it. - If you wanna make it brighter at dark, make sure the clock absorb enough light, like light bulb or sunlight(usually 4-8 hours). TIDE CLOCK handmade by Georgetown Pottery, Maine. Signed 1994. Set at top for high tide and watch the hand move along to show tide going out, low, and coming in. White hand made pottery with green design and Whale at the top. Eagle Clock. We do not accept CODs. Toys / Dolls. Rugs / Mats. Pet Accessories. Gifts - Occasions. Garden / Outdoors. Gadgets / Everything Else. Made By Bartolucci (Italy). This would make such a sweet addition to a nursery. Note: There is a different model with moving eyes. The silent quartz wall clock back base are made of premium plastic that can keep well function and dry in any weather condition, instead of using cardboard as clock background. Easy to install by the available hook on any walls. EASY TO READ - Large black bold numbers against white face creat east viewing. We aim to reply within24 hours. Classic round wall clock with a cool surprise when the lights go off: the glow-in-the-dark number and hands let you read it in the dark. The phosphorescent coating on the hands and numbers then glows softly at night. Added features of indoor temperature (Fahrenheit/Centigrade) and alarm with snooze. 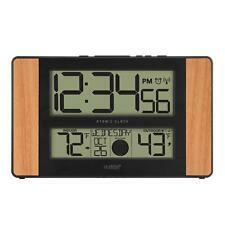 1 x Digital LCD Wall Clock. Wall hanging or free standing. Size: Approx. 25cm x 19cm x 2.5cm. Stylish modern design.